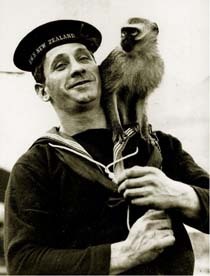 The Navy Museum offers a range of Te Whariki-linked educational programmes for Early Childhood groups to practice core skills and learn about the Royal New Zealand Navy. The Navy Museum offers engaging and dynamic learning experiences outside the classroom! Search the galleries and find the treasures that naughty Manny the monkey has hidden. As you find the treasures collect stamps on your stamp sheet to keep. See below for more details. This programme is suitable for ages 3-5.